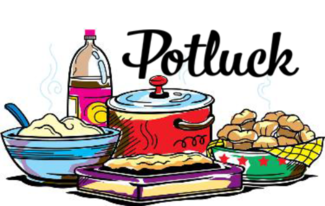 SVDP Lifeteen: Lifeteen Pot Luck! This is the signup genius for our once a month pot luck at Lifenight Sunday nights! It'll be a great way to mix things up from the typical pizza so that they get a nice fun meal once a month and the pizza is more appreciated the other 3 weeks. Having a signup genius should help to make sure it's covered and also so people know what other people are bringing. Ideally, food would be dropped off at 6:00PM upstairs in the Lifeteen Room where the tables are set up (in the blue room). If you go to Lifeteen Mass I'm sure it's okay to drop it off right before Mass, unless somebody else can drop it off at 6:00 to keep it hot/cold/whatever it needs to be! If it's something easy like cookies or something then any time on Sunday after 1:00 is great. I have the suggested amount of people you bring food for as 10-20 people, but feel free to bring however much you like! We have typically between 35-60 teens every Life Night, plus our core team, so typically 55-70 people total! Thank you so much for your help in making this possible!